Social isolation, loneliness and the “scandal” of child poverty. These are a few of the challenges facing the country today that church leaders have urged Scotland’s First Minister to address. Dr Derek Browning, First Minister Nicola Sturgeon and church leaders at the Scottish Parliament. The Scottish Government. 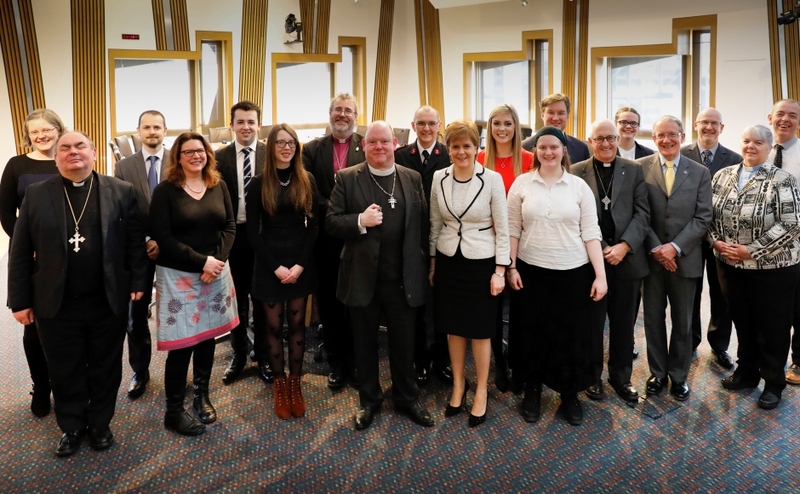 The group, which included Moderator of the General Assembly of the Church of Scotland, Right Rev Dr Derek Browning, met Nicola Sturgeon at the Scottish Parliament yesterday. Dr Browning said faith communities were happy to help run food banks but the Scottish and UK governments must do more to address “unacceptable” levels of food and child poverty. He described action as a matter of “social urgency”. The discussion with Ms Sturgeon also focused on how work around the Year of Young People can be continued into the future, as well as dementia support and climate change. Speaking after the annual meeting with the First Minister, Dr Browning said: “Faith communities play a significant part in the life of the country. “The amount of 'social capital' provided by faith communities to the common weal of the nation is equally significant. “Dependency on food banks appears now to be built into our social fabric, along with churches and other groups providing essential food to children during holidays when schools are closed. “The faith communities are clearly happy to be as supportive as possible but look to governments in Holyrood and Westminster to address the unacceptable levels of child and food poverty decisively. Dr Browning said it was good that the First Minister gave time to meet with Church leaders and youth representatives, as she has previously done for leaders from the interfaith communities. He said there are many challenging issues facing Scotland today. “Child poverty continues to be a scandal in our country,” added the Moderator. “And whilst I am disappointed that few politicians have been willing to support the 'Give Me Five' child benefit top-up campaign, it was gratifying to hear that the Scottish Government will be making a comment on child poverty in the near future. Dr Browning said it was encouraging to hear, when asked by Catriona Munro, Clerk to the Church of Scotland National Youth Assembly, that the First Minister said she hoped that the positive results achieved by the Year of the Young Person in 2018 will continue beyond the year. He said he was pleased to hear that helpful and sustainable steps will be made to ensure the empowerment of young people in the fabric of society will continue. 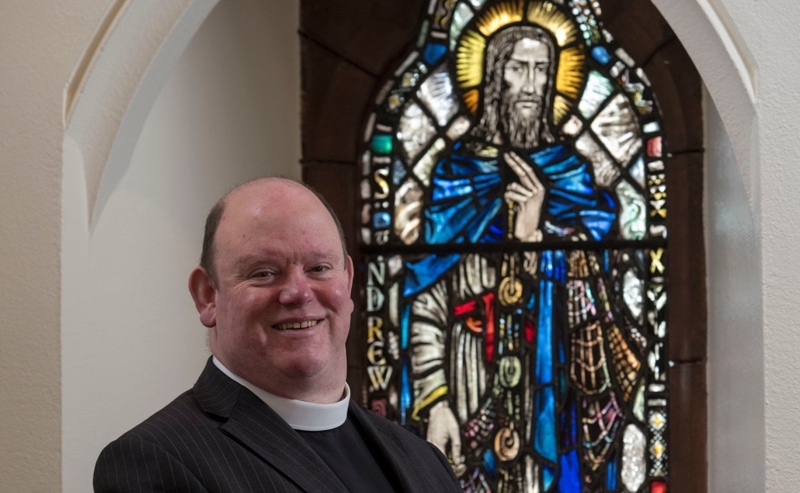 Dr Browning said: “The First Minister welcomed Church support in many areas across the life of the country, and hoped that other government ministers and MSPs would appreciate the considerable good faith families provide to their communities. “It remains important for MSPs to be aware of what is going on in and through the churches and faith communities and it would also be important for them to foster good links with all elected representatives. “My view is that whilst it is sometimes difficult for politicians to be seen to be 'doing religion', the humanitarian and charitable works carried out by the faith communities is about helping people, of all faiths and none. Dr Browning said the Scottish Government is running a consultation on tackling social isolation and loneliness and building stronger social connections. “It is important to realise that these issues affect every age group in society,” he added.